Keep your skate boots dry! This is especially important for outdoor skates, but indoor skates can also become damp from sweat. Make sure to give your boots a good wipe down anytime they become wet. Also, never use an electric heater to dry your boots as this can damage and warp your boots. Adjust your toe-stops. It will probably take trying out a few configurations before you find the right toe-stop position for you. But once you find it, periodically make sure your stops are tightly secured to your boots. Check that your trucks are secured. This is especially important for people who prefer to slightly loosen their trucks, but everyone should periodically check them. Maintain your bearings and wheels. Make sure your wheels are clean and free from dirt build up. If they wear unevenly, you’ll need to regularly rotate them for better performance and to improve their lifespan. While checking your wheels for wear, make sure to also check your bearings. Always keep your bearings clean and dry. 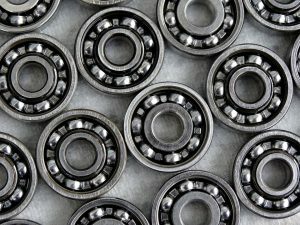 If your bearings are not enclosed, make sure to give them a couple drops of lube from time to time to keep them spinning smoothly. Now that your skates are looking and performing great, stop by our Deer Park skate center! Check out our hours to plan your next visit. And if you’re looking to buy new skates, we can happily order you any pair from RC Sports and have them to you within 1 to 2 weeks.